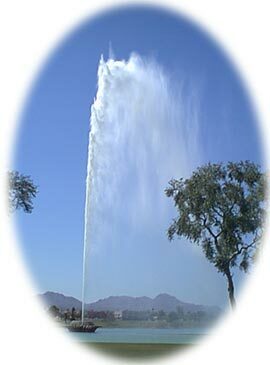 Fountain Hills is situated on the eastern slope of the McDowell Mountains about 500 feet in elevation above Phoenix. This majestic range naturally separates the community from Scottsdale and the rest of metro Phoenix. The community's most valuable asset is its beauty. Incredible views and natural terrain provide for a wide range of outdoor activities including hiking, biking, boating and some of the more challenging and picturesque golf courses you'll find in the country. The statement, "Come for a day; stay for a lifetime," holds true for Fountain Hills. If you enjoy history, whether you live in Fountain Hills or are just visiting, a visit to the River of Time Museum is a "must see."